El mundo de ajedrez de ordenador como lo sabemos se cambia directamente del principio de 2011. Lo que muchos probadores privados ya han descubierto, ahora saben a la audiencia mundial. Houdini 1.5 es la nueva estrella de ajedrez de motor, que funciona en un nivel superior a la oposición. The computer chess world as we know it is changing right from the start of 2011. What many private testers have already discovered, is now known to the world wide audience. 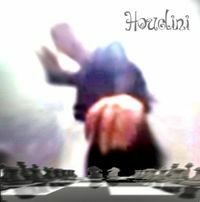 Houdini 1.5 is the new chess engine star, performing at a level superior to opposition. In round 4 of the computer super tournament TCEC Division 1, Houdini 1.5 continued with it's perfect performance. This time it defeated Rybka 4 in a convincing way with black. Rybka 4 won the World Cumputer Chess Championship 2009 with a large margin. It was a culmination of years of dominations on the computer chess scene. However, despite winning the 2010 title, things have been going on a downwards spiral for Rybka. Strong competitors have been emerging and new algorythms have been challenging the top spot. One is left to wonder what is the actual strength of Houdini 1.5 to defeat the world champion with black and go with a convincing 4,0/4 so far in TCEC Division 1. According to the IPON World Ranking for computer chess engines, Houdini 1.5 is playing at strength of 3006 ELO, which is 54 points higher than Deep Rybka 4, and close to 90 points over Stockfish 2.01. Can Houdini 1.5 prove that the margin is realistic? Can it keep up with the perfect performance? Round 5 of TCEC has just started, follow the games live here. TCEC Premier Division final .